Project Mgmnt & B. A. After receiving the specifications on a requirement from one of our clients, we immediately tap our extensive network of resources to find and present one or two candidates who are capable of making an impact in our client’s organization. We make sure that the candidates we present are highly qualified so that we don’t waste our client’s valuable time with a flood of resumes. e-Primary uses ReviewNet, a web-based technical screening vendor that enables us to confirm the strengths of our candidates and match them to our client’s staffing requirements. In addition, we check multiple references for each candidate. This process gives our clients a peace of mind when dealing with e-Primary and saves them time when they are trying to identify the best candidate for the job. e-Primary is here to help you with all of your information technology staffing needs. We provide temporary, temporary-to-hire, and direct placement services. We want to partner with you to get the right people in place at your business in the shortest amount of time possible. e-Primary takes pride in finding the right candidate at the right time. Our greatest asset is our people, who are committed to open, frequent communication with our clients and our consultants. It is our ability to develop these personal relationships that has led to our rapid growth. e-Primary has the technical knowledge to find the right resource for any position, but we know that it takes much more than a skill set to get the job done. We work to understand our client’s specific requirements, beyond just technical skills. Likewise, we maintain close relationships with our consultants, enabling us to find the right fit for both parties. – If it’s a few days or a few years, e-Primary is here to help you quickly find the right candidate for the job. In addition, our Account Managers and Recruiters maintain in close contact with our consultants throughout the entire length of the contract, making sure that they have everything they need to get the job done for you. 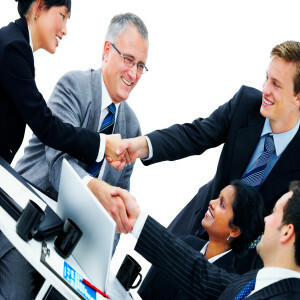 – In today’s world, there is a lot to gain doing a contract-to-hire. The contract period is one long interview for your full-time opening, and the extended exposure to our consultant will help you determine whether he or she is the perfect fit. You work side-by-side with the candidate and make sure they bring the right skill sets and experience to your organization. – Sometimes our clients require a direct hire and we will partner with you to find the best fit for the position. We use our rigorous qualification process to identify the right person for your full-time position, just like we do for a temporary or temporary-to-hire position. © 2014 Copyright by e-Primary . All rights reserved.